We work with the best bike instructors in the area who hold the highest attainable qualifications in France. If you are new to mountain biking and want some pointer before heading out on your own or a seasoned pro who wants a guide to show you some great local trails. Everyone can benefit from a lesson! 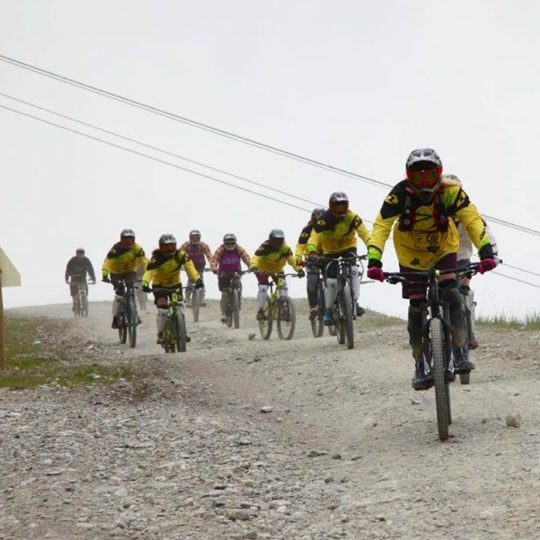 We work with the best local mtb guides here in Morzine, we can organize a private lesson to teach you the basics of mountain biking or work on specific skills like hitting the bike park jumps. Take a guide for a day or two and see the secret trails of morzine that you wouldn’t be able to find otherwise! Im a complete beginner but I can ride a bike! I have basic knowledge in using brakes and gears. I have riden some bike park tracks, competent on green coded tracks but want to improve and master the blue coded trails. I am competent on blue trails and would like to master the reds. I want to master black trails & Jumps, I ride comfortably on red trails.